Type: Flat formwork, corner formwork, beam formwork, etc. Process: Drilling, bending, welding, precise cutting, punching, etc. Package: Standard pallet with waterproof film, or according to your requirement. Aluminium formwork is a construction system for forming cast in place concrete structure of a Building. 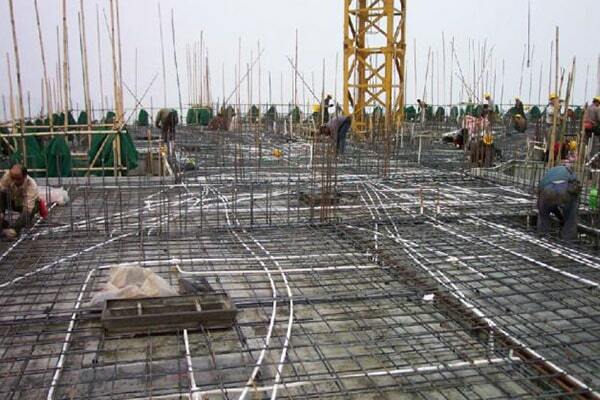 Auto formwork system provides aluminium formwork for RCC, load-bearing, multi-storeyed buildings and enables the walls and slab to be poured in the same operation. This increases efficiency, and also produces an extraordinarily strong structure with excellent concrete finish. 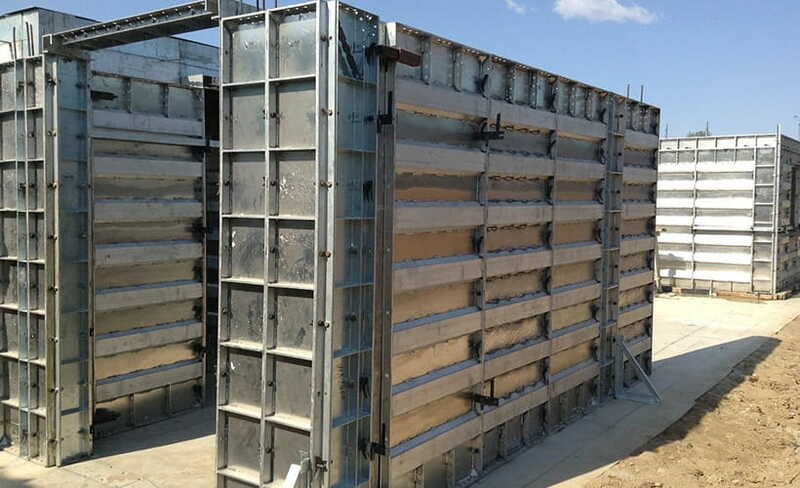 Goldapple aluminium formwork system allows building for monolithic and /or 2 stages casting application to suit all kinds of building requirements. 6061-T6 is one of the most versatile of the heat-treatable alloys, is popular for medium to high strength requirements and possesses good to toughness characteristics. 6061-T6 has excellent corrosion resistance to atmospheric conditions and good corrosion resistance to sea water. 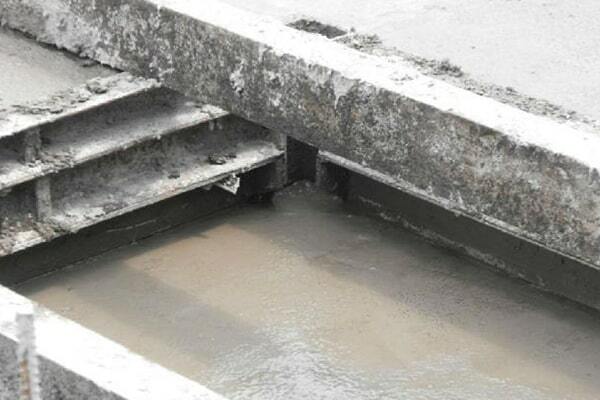 Goldapple patented ppwder coated aluminium formwork achieves smooth concrete surfaces, more durable and easy to clean. No rendering is needed--savings on materials and labour costs. Our early strike system allows slab panels to be striped after casing within 4 days and provide top quality surface finish on the concrete, by using our special designed prop head. Rapid urbanization has resulted in a geometric increase in the housing demand, which cannot be fulfilled by using conventional methods of construction. The traditional method of construction for mass housing & high rise buildings is a slow process and has limited quality control, particularly when a large size project is involved. It is therefore obligatory to work out a method where the speed and quality of construction are controlled automatically by a systematic approach. Ease in Shuttering / de- Shuttering and ability to perform monolithic concreting for any structures gives “Aluminium Formwork System” a superior advantage of speed. Using Aluminium Formwork System technology floor to floor cycle of seven days can be achieved. "Aluminium Formwork System" is manufactured with precise tolerance providing High quality Formwork components which ensures the consistency of architectural dimensions. A lot of importance is given to safety while designing the “Aluminium Formwork System” External brackets are provided which are fixed along the periphery of the structure at two levels for safe Erection and De- Shuttering of External Formwork. 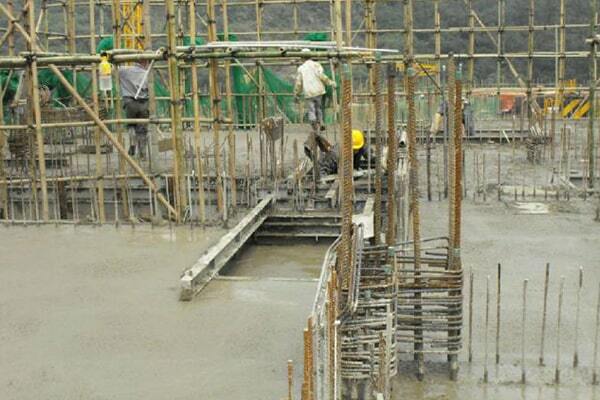 A lot of Emphasis is given to the erection and De- Shuttering time of Formwork. Vertical and Horizontal members are locked through pins and Wedges. Vertical Formwork Components can be removed in 24 Hours and Horizontal Formwork Components can be removed in 72 Hours without disturbing the props so that the Formwork Components can be used for the Subsequent floors with second Set of Props. Light weight of the system ensures smooth flow of the component without the use of any External material Handling Equipment such as cranes and super decks as the Formwork Components can be easily transported to next level by a single person manually. High Quality Aluminium alloys are used to manufacture “Aluminium Formwork System” with the highest standards of manufacturing methods and practices enabling the consumer to achieve as many as 300 usages, under Ideal conditions and proper handling. “Aluminium Formwork System” is made of lightweight Aluminium alloy which allows the big and small components to be hand carried and setup. Due to the elaborate Design and Drawings provided to the clients, erection old formwork can be achieved by unskilled workers with ease and accuracy. Aluminum alloy building aluminum formwork system uses aluminum alloy profiles formed by integral extrusion of raw materials (6063-T6 or 6061-T6), a set of formwork can be used for more than 300 times in standard construction, with low average use cost. 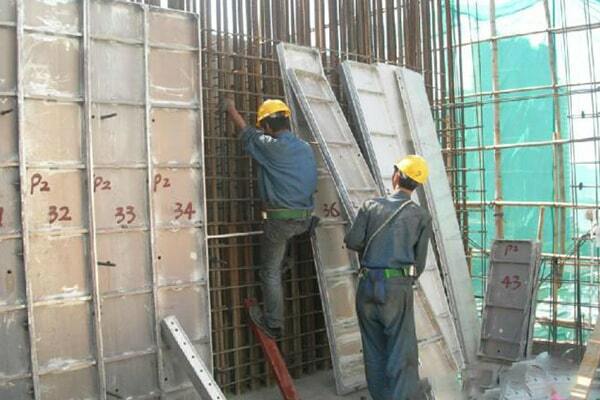 Aluminium formwork manufacturing uses panels that are made from high strength Aluminium alloy. 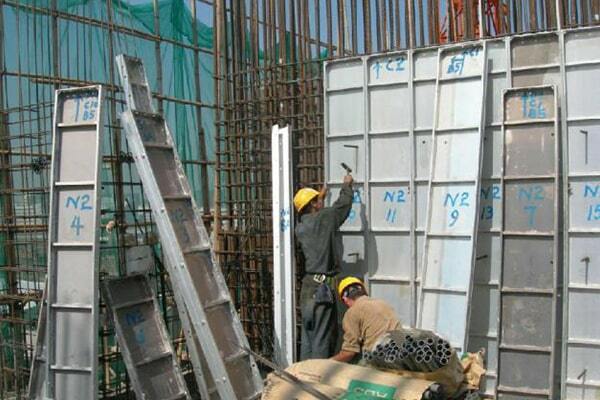 Aluminium Formwork System is a construction system for forming cast in place concrete structure of a building. It is also a system for scheduling and controlling the work of other construction trades such as steel reinforcement, concrete placement and mechanical and electrical conduits. The System is fast, simple, adaptable and very cost effective. It is unique because it forms all of the concrete in a building including walls, floor slabs, columns, beams, stairs, window hoods, balconies and various decorative features in exact accordance with the architects' design. The dimensional accuracy of the concreted work also results in consistent fittings of doors and windows. The smooth–off form finish of the concrete eliminates the need for costly plastering. Aluminium Formwork System provides Aluminium Formwork for RCC load bearing or RCC framed multi-storied buildings and enables the walls and slabs to be poured in the same operation. These increases efficiency and also produces an extraordinarily strong structure with excellent concrete finish. Due to the fine tolerance achieved in the machined metal formwork components, consistent concrete shapes and finishes are obtained floor after floor. This allows plumbing and electrical fittings to be prefabricated with the certain knowledge that there will be an exact fit when assembled. Unlike other construction systems, Formwork Systems of aluminium forms can be erected by unskilled labour and without the need for hoisting cranes. The largest panel weighs not more than 25 kgs which means it can be handled by a single worker. 1. 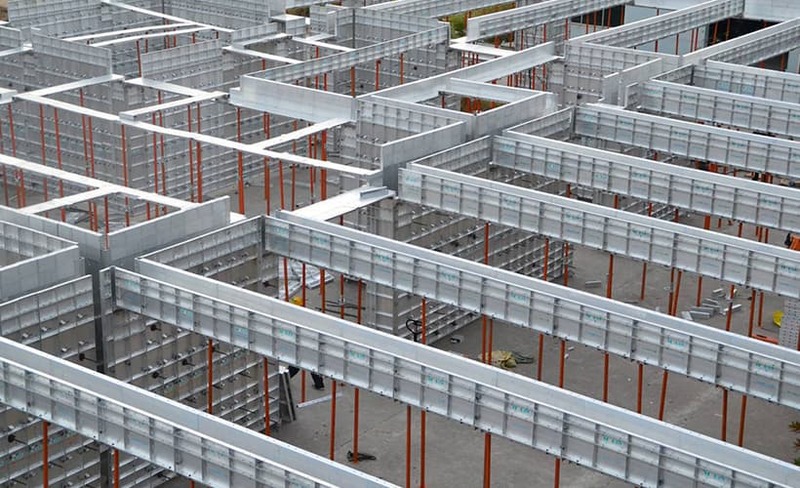 Trial assembly of aluminum formwork in factory (Large surface). 2. Trial assembly of aluminum formwork in factory (Ladder). 3. Trial assembly of aluminum formwork in factory (Local art). 4. Trial assembly of aluminum formwork in factory (Corridor). 5. 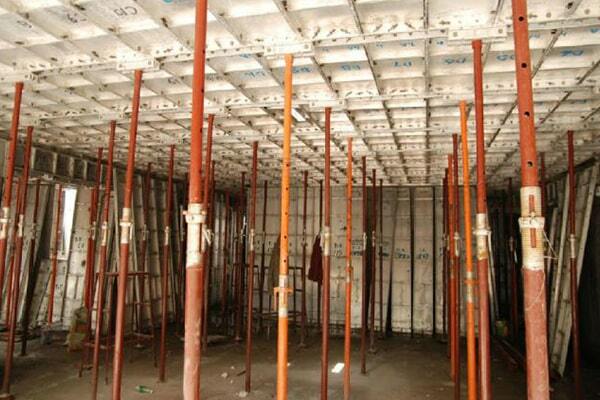 Trial assembly of aluminum formwork in factory (Interior). 6. Aluminum formwork installation at site. 7. Aluminum formwork installation at site. 9. Concreting by concrete spreader. 13. Effect after aluminum formwork removal. 14. Effect after aluminum formwork removal. 15. Effect after aluminum formwork removal. Q: Do I use this set of formwork to another project? A: There are nearly 70% standard panels can be common used. A: Protection foam+heat contracted plastic film. / wooden packing / Metal pallet or depend on clients special requirement. A: T/T 30% in advance & T/T 70% upon sending the copy of Bill of Lading, L/ C 100%, or negotiate according to the order status. A: We are the manufacturer of aluminum building formwork. Our group company has 4 factories, covering every scaffolding systems. Q: If I don't have people know well about your forwmork system? A: We will send 2 or more engineers to your construction site for guidance. Q: How to proceed an order for aluminum formwork? 1- All your drawings send to us. 2- After analysis by our engineer and designer, we will have a meeting for discussing details. 3- Construction details confirmed, contract signed. 5- Have meeting for confirming model details. The application of aluminium formwork technology has been developed for more than 50 years and is widely used in various fields of reinforced concrete building structures. In developed countries such as the United States and Canada, as well as buildings in emerging industrial countries such as Mexico, Brazil, Malaysia, South Korea, and India, they have been widely used. In the process of promotion and use, countries have also accumulated a large number of experience in the design, manufacture, application and construction of aluminum formwork. Before the financial tsunami, the annual aluminum stencil market in the United States was about $100 million, and it was divided by four or five aluminium formwork manufacturing companies. 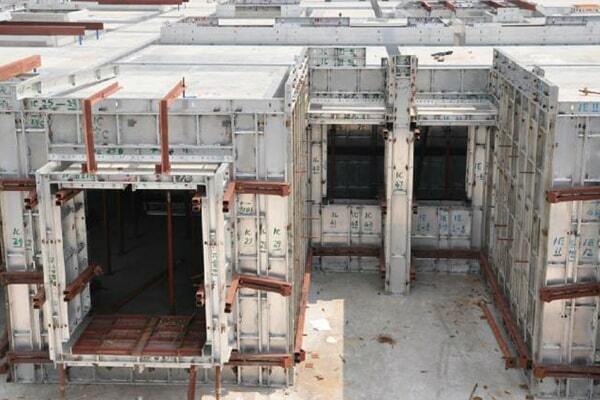 Aluminum alloy formwork technology has also been applied to a large number of affordable housing in Mexico. In Mexico, with the construction of its aluminum formwork technology, more than 1 million sets of affordable housing were built. South Korea used plywood a decade ago. Up to now, 80% of its high-rise residential buildings have been using aluminum formwork technology. At present, Malaysia uses a large number of aluminum formwork to build high-rise buildings. Like Country Garden City, it uses a large number of aluminum formwork to build high-rise buildings. In people's simple cognition, the template made of aluminum alloy must be very expensive and must be easily damaged, but this is not the case. The drawback of China's construction industry lies in the shortage of skilled professional technicians. Therefore, with traditional construction techniques, serious problems of quality, schedule, safety and material waste are common. Many construction companies are actively looking for labor services, saving materials, ensuring the quality of progress and safe and civilized construction of new technologies and materials. Among them, the aluminum template, the aluminum frame plywood formwork and the early release formwork support technology derived therefrom are collectively referred to as aluminum formwork technology. The aluminum formwork is a building formwork made of aluminum alloy, also known as an aluminum alloy formwork. It is a design made of modulus, and the aluminum formwork is made by extrusion with special equipment. It consists of a three-part system of aluminum panels, brackets and connectors. It has a complete set of universal accessories, which can be assembled into different sizes of complex overall mold frames, assembled and industrialized system templates, which solves the defects of traditional templates and greatly improves the construction efficiency. Aluminum formwork design and development and construction applications are a major development in the construction industry. Since its inception in the United States in 1962, aluminum formwork has been used for 55 years. In developed countries such as the United States and Canada, as well as buildings in emerging industrial countries such as Mexico, Brazil, Malaysia, South Korea, and India, they have been widely used. Aluminum molds have been developed in China for only a few years and have been favored by many builders. 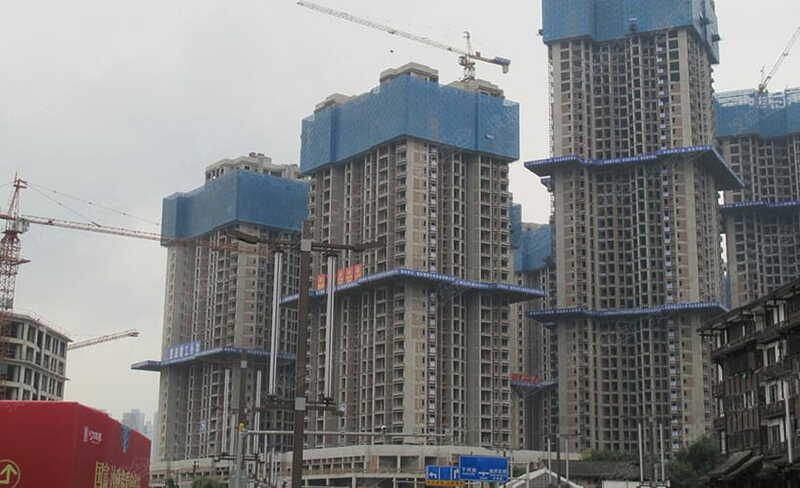 For example, Vanke and China Construction Group are using aluminum formwork systems. The aluminum formwork system products are suitable for the use of walls, horizontal slabs, columns, beams, stairs, window sills, floating boards, etc., and are equally useful for secondary structures such as ring beams, structural columns, and anti-cans. The aluminium formwork system products are popular which mainly because the technical indicators are more advanced, and can better meet the requirements of the state and society for construction projects. All-aluminum composite stencil systems are widely used in developed countries such as the United States and Canada, as well as in emerging industrial countries such as Mexico, Brazil, Malaysia, South Korea, and India. In the process of promotion and use, countries have also accumulated a large number of experience in the design, manufacture, application and construction of aluminum formwork. So, what is the reason for the aluminum formwork technology not only widely used in developed countries like the United States, Canada, etc., but also in countries such as India, whose economic level is behind China, has been actively promoted? There must be a reason to use aluminum stencil technology. Traditional low-efficiency wood formwork and extensive construction methods are still widely used in construction, which not only wastes a lot of forest resources such as wood, but also violates the national industrial policy guidance and increases carbon emissions, which also causes construction costs. A substantial increase. The key points to solve these problems are: the use of new templates and support systems with high efficiency, modularity, and high reusability, and a new construction method that can effectively reduce the cost of construction site work. This is why aluminium formwork technology is widely used. The booming Indian aluminum market is expected to continue to grow in the coming years. With the continuous expansion of Indian manufacturers' production capacity, the addition of new companies and the growing demand for high-quality products in the current market, Al-India is increasingly adopting new technologies and new equipment to improve production quality.This is undoubtedly an excellent development opportunity aluminium formwork manufacturers in india.Similarly, it is an good opportunity for Chinese companies to take the lead in India, a rapidly growing market. All parts of the aluminum mold can be reused, and there is less garbage on the construction site, which changes the scene condition of the traditional template. The aluminum mold material is metal, which is not easy to burn, and effectively eliminates the fire. High construction quality and stable performance: Made of high-strength aluminum alloy, good strength, good bearing capacity, high horizontal and vertical control of the template, smooth surface of concrete members, clear and straight lines. Simple training for workers can master the craft in a short time; the template does not rely on tower cranes for transportation, and is manually transported through reserved holes for convenient construction. 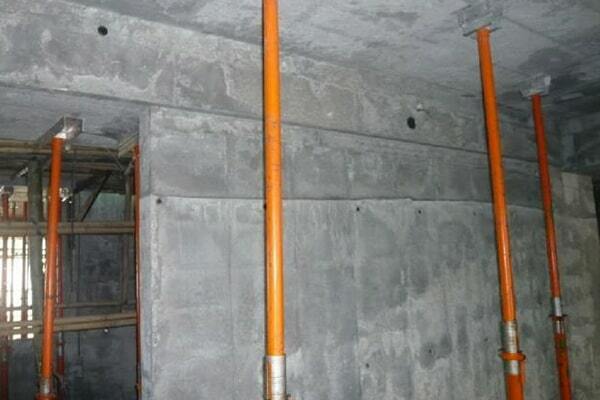 In addition, due to the good perception of the concrete poured by the aluminum formwork technology, the structural surface can basically achieve the effect of the sub-clear water concrete. According to the understanding, at least 50% of the wall plastering cost can be saved, saving the raw material consumption of cement and sand and the artificial use of plastering. At the same time, it reduces the use time of the turnover materials, and at the same time, the quality directly eliminates the common problem of indoor wall plastering and cracks. Finally, the aluminum template has a recycling value after it is completely used, and the recovery price is 25%-30% of the original price. 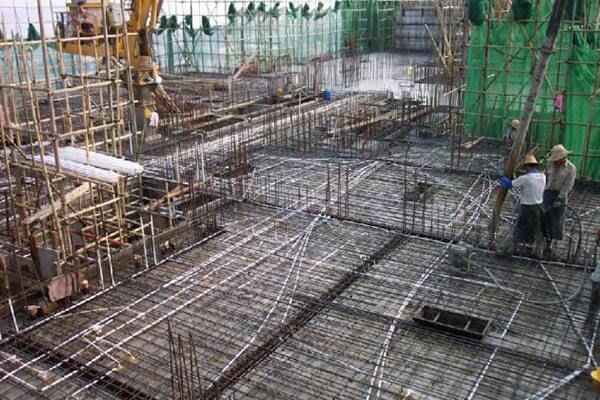 Although considering the high cost of aluminum formwork, the cycle utilization rate is high. 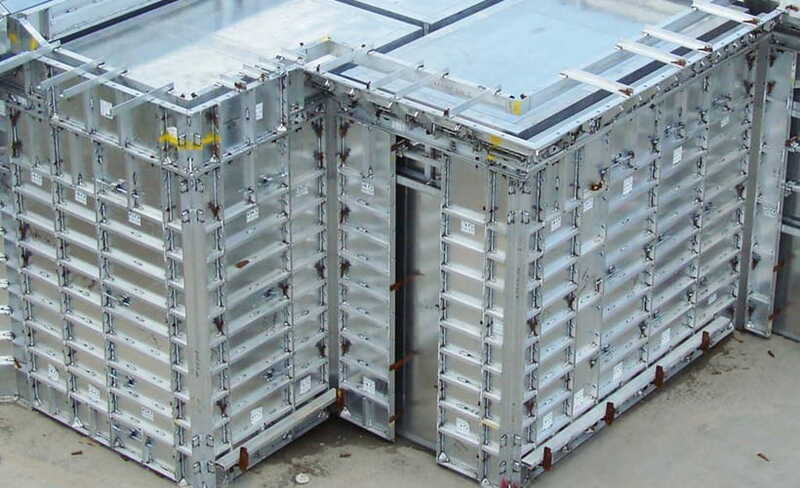 If there are more buildings to achieve standardization work, and a set of templates can be recycled as much as possible, the aluminium formwork cost can be greatly reduced, and only the cost of the template itself can be used. Far below the wood formwork and steel formwork. An aluminium formwork components, comprising: an outer wall aluminum formwork body, a longitudinal backing of the outer wall is vertically disposed along a surface of the outer wall aluminum formwork body, and a reinforcing backing is mounted on the longitudinal back of the outer wall, The outer wall is reinforced with a back sill, the reinforced outer wall of the outer wall is vertically opposite to the longitudinal wall of the outer wall, and the reinforced outer wall is a first square through pipe; and the inner wall aluminum template body is further included The surface of the inner wall aluminum formwork body is vertically disposed with an inner wall longitudinal backing, and the inner wall longitudinal backing is mounted on the inner wall longitudinal backing, the inner wall reinforcing backing is perpendicular to the inner wall longitudinal back, The inner wall is reinforced with a second square pass. 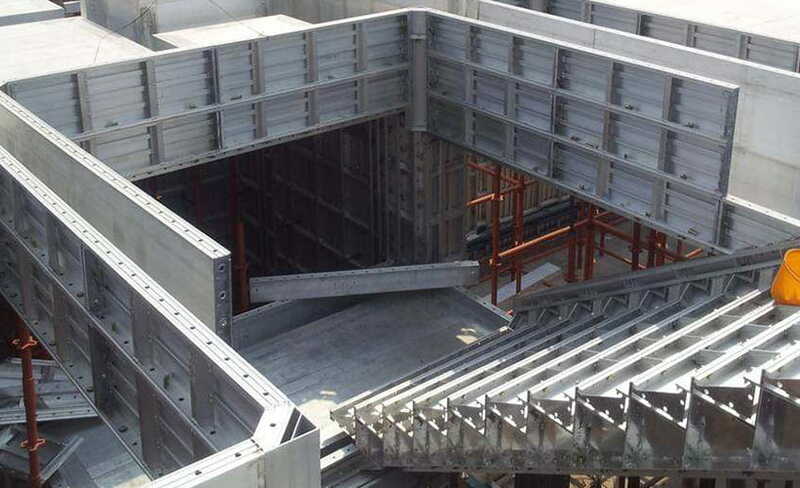 The aluminium formwork components adopt the first square through pipe as the outer wall reinforcement backing and the second square through pipe as the inner wall reinforcement backing, which greatly saves the cost. The components of the aluminum formwork are: wall panel, inner corner, beam panel, wall end panel cover, panel, middle beam, connecting strip, inner corner of the floor, outer corner, bottom gusset, top support, end beam, support column support, etc. These are all components of the building aluminum mold. Although the start time of the aluminum formwork industry is not long, in recent years, with the promotion of green buildings, by 2017, it has accounted for about 20% of the entire template market, ushered in an outbreak period. At the same time, its application range has gradually expanded, from civilian buildings to public buildings, subways, tunnels and other projects have begun to use aluminum formwork, industry head enterprises ushered in development opportunities. In recent years, with the acceleration of global industrialization and urbanization and the transformation of economic growth mode, research and application of green construction technology has become a consensus. Building formwork is an important tool for concrete structural engineering construction, directly affecting the quality and efficiency of the project. The green and energy-saving aluminum formwork is a new type of building energy-saving and environmentally-friendly material, which can be widely used in various fields of reinforced concrete building structure, and has obvious advantages compared with the traditional formwork. 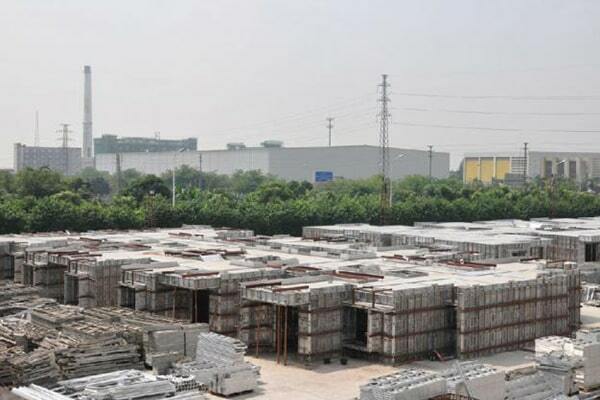 With the increasing awareness of environmental protection and the policy to promote the development of low-carbon economy, well-known domestic developers have promoted the development of the aluminum formwork market. 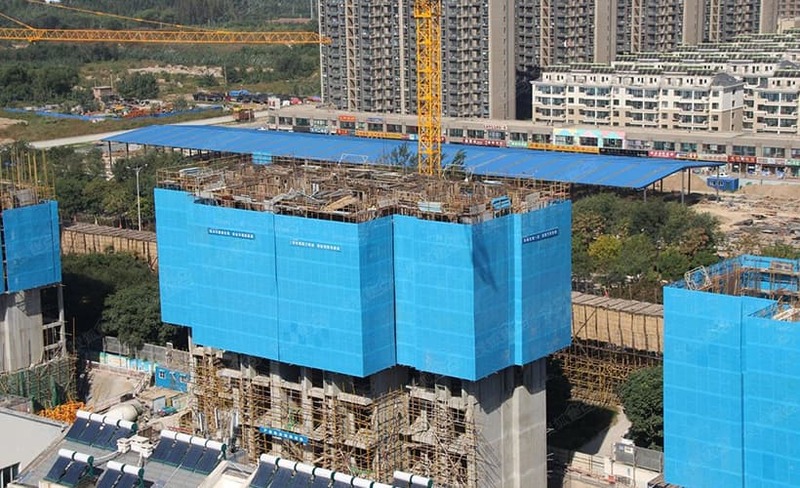 Real estate companies including Vanke, Poly, and China Resources have begun to promote aluminum formwork applications in their respective development projects. 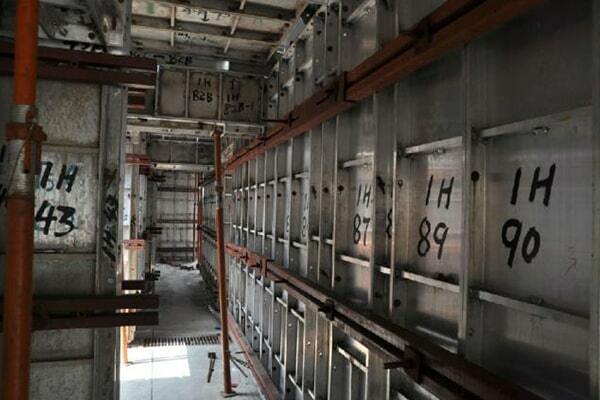 Large-scale construction and general contracting for China Construction, China Railway Construction, and China Transportation Construction has adopted aluminum formwork as a guarantee for construction quality. Goldapple aluminium formwork manufacturers are pushing the aluminum formwork industry to continue to grow bigger and stronger. Aluminium formwork accessories: round pin, bolt; K plate screw; wall body demoulder; PVC casing; architectural aluminum formwork fittings - pull tab;adjuster; lower adjuster, nut; aluminum formwork fittings - support; back sling; oblique support; aluminum formwork splicer; PVC casing detacher. All the accessories are constructed as a whole for the aluminum formwork to ensure that the building structure is formed when the concrete is poured; the single piece system is connected into a system to form a whole, supporting the floor, the floor and the cantilever structure; the structural width dimension of the formwork is guaranteed to be poured. No deformation occurs during the concrete process, and the template does not appear to rise or explode. 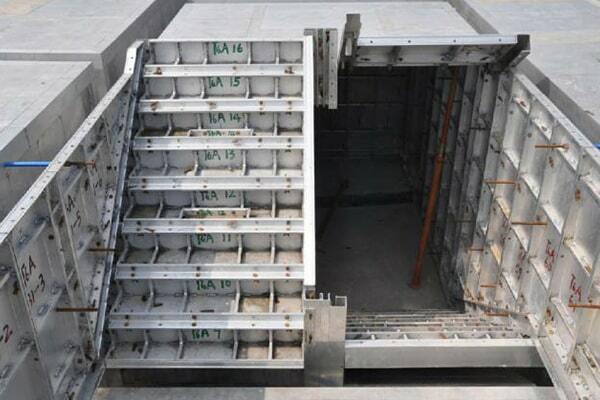 The aluminum formwork system is one of the cast-in-place concrete formwork systems widely used around the world. Unlike other formwork systems, the aluminum formwork system is suitable for both engineering projects with high engineering requirements and general engineering projects. 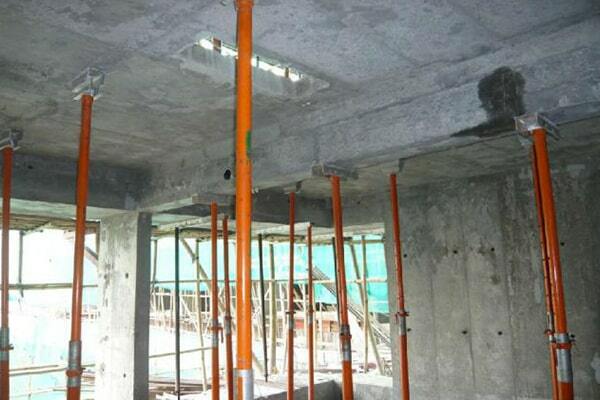 Aluminum formwork is used in a wide range of applications in Singapore. The Singapore Shenton Way project is located in the central business district of Singapore. It is a hotel apartment project with two single main buildings, of which 7 floors are below the overall podium-style parking lot, and the two single main floors are 50 and 43 respectively. The structure of the main building is a cylinder-scissor wall. The opening of the standard floor room structure is small, and the variation of the building facade is not large. The average floor area of ​​a single floor is about 800 square meters. In the construction of the 9-layer and above standard layers of the Shenton Way project, a formwork system based on aluminum formwork was used. 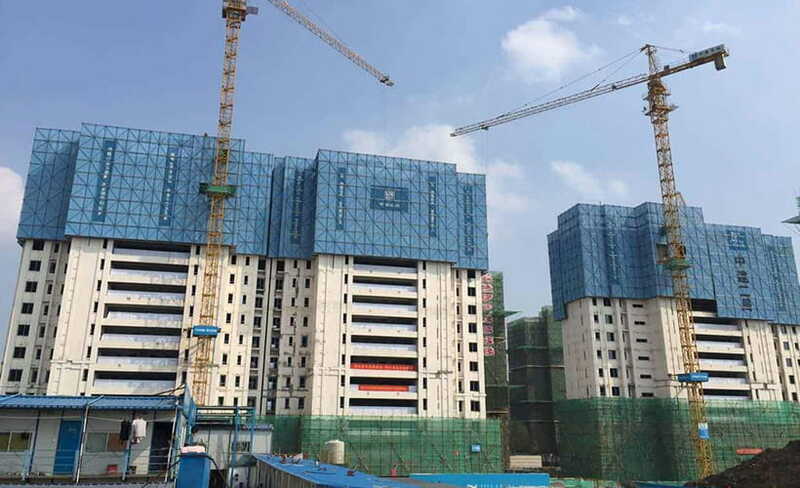 Through the previous construction organization design, formwork system design, and on-site construction and deployment, the construction period of the standard layer was strictly controlled in 4 days every floor. Through the actual use of the aluminium formwork Singapore construction market, the construction experience of the aluminum formwork is summarized, especially for the construction of high-rise buildings with little structural changes and tight construction schedules. 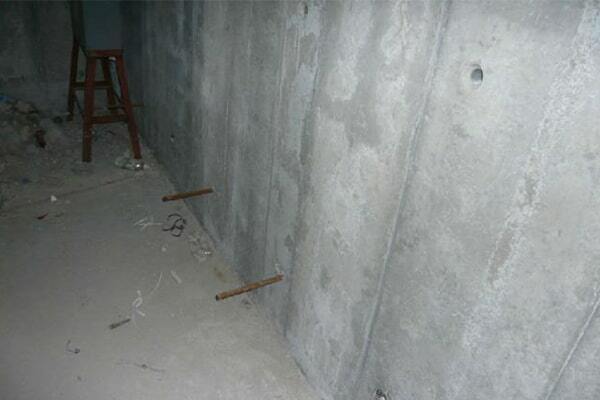 The use of the aluminum formwork system is very efficient and economical. The choice of the current domestic construction project has not been widely used aluminum stencil system, so it is expected that the future aluminum stencil market will have a good prospect. Kumkang Kind, a producer of steel pipes and a variety of scaffolding products, has been taking part in an necessary role in the improvement of the financial system and the metal enterprise of Korea. 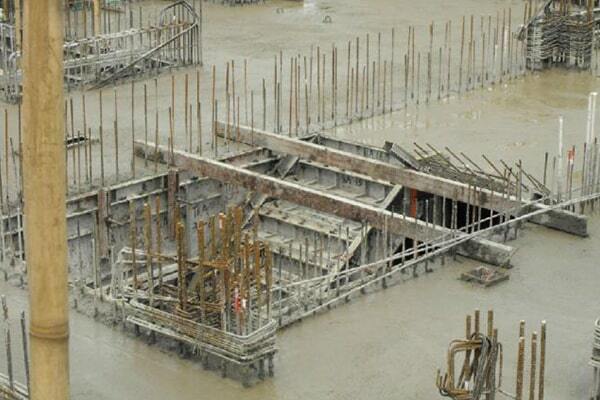 Kumkang Kind, with extra than 30 years of experience has developed into a promising formwork system manufacturer. The application of Goldapple's aluminum formwork system in the construction industry has improved the construction efficiency of building construction projects, including in building materials. Compared with the two, Goldapple is more cost-effective. (2) The number of repeated uses is high, and the average use cost is low. (3) Convenient construction and high efficiency. (4) Good stability and high bearing capacity. (5) A wide range of applications. (7) Low carbon emission reduction. Considering our clients needs and providing options has been the hallmark of our commercial enterprise in view that day one. We sketch products that meet our customers requirements and demands. Special purposes and customized diagram could be a challenge. We lead the aluminium formwork industry by continuously learning and creating new designs. Our aluminium formwork is a self-climbing system which is ordinarily used for residential, business and civil engineering projects. The whole bracket appreciably reduces the usual building period. As an extraordinarily secure and user-friendly system, aluminium formwork is fine used for core wall building method (core-preceding) for high-rise buildings, pylons, and heavy structures. The most vital element for a profitable structural development is the formwork system. We constantly present the most secure, efficient, trustful and satisfactory assured aluminium formwork system handy on the market. Mivan Aluminium Formwork Technology is a progressive aluminium formwork development system, which has been effectively used and developed for many years, for forming solid in location strengthened concrete building structures. Using this special formwork, all walls, flooring slabs, columns, beams, stairs, balconies, collectively with door and window openings are forged in area in a single web page primarily based operation. The resulting building shape is very strong, correct in dimensions and tolerances, with a excessive pleasant of completed concrete surface and yet at the identical time the Mivan Formwork is fast, adaptable and very value effective. Characteristics, of Mivan Aluminium Formwork Syetem, is that it makes use of concrete as the major constructing cloth for the high motives of cost and accessibility: Cement, sand, and stone are without problems accessible in most countries. Concrete also brings additional benefits in phrases of its construct satisfactory and strength, it’s resistance to earthquake tremors; it’s resistance to fire, rot and vermin attack; it’s low noise transmission with correct thermal ability and it’s validated durability, giving lengthy life, with little maintenance. The construction of goldapple aluminium formwork is popular, mainly because the technical indicators are more advanced, and it can meet the requirements of the state and society for construction projects. Aluminum formwork has inherent advantages in stability and bearing capacity, short construction period, wide application range, less joints, high precision and low time cost. At the same time, it can help construction units and workers reduce construction intensity and safety risks. The aluminium template has a large single plate surface, less joints, high production precision, high bearing capacity, strong resistance to deformation, high construction quality, and can almost reach the quality standard of fair-water concrete construction, without plastering and scraping, and reducing the cost of smashing. It saves the cost of decoration and decoration. In addition, due to the good construction quality, it can effectively reduce the cracking and leakage of the outer wall.